If you're trying to sync a Fitbit to an iPhone, Android device, or computer and the app is telling you that the sync process is unable to complete or that the Fitbit tracker can't be found, there may be several causes for the malfunction. 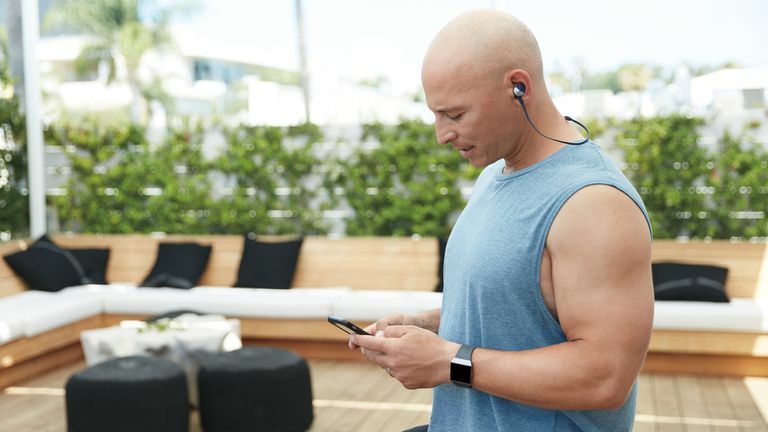 Fortunately, there are also just as many fixes for these common Fitbit sync glitches that can be implemented quickly and without any risk to your fitness tracker. The main cause of sync errors with a Fitbit is usually related to the fitness tracker becoming disassociated with the smartphone, tablet, computer, or iPod touch that it was initially connected to. This can be caused by trying to connect to too many devices at once, the Bluetooth not working properly, or a minor glitch in the Fitbit's operating system. It can be difficult to pinpoint exactly why your Fitbit won't sync properly to your iPhone, Android tablet, or other device. Fortunately, there are a variety of proven solutions that can fix your Fitbit syncing problems and work with all Fitbit fitness tracker models. These tips can be used to fix sync problems with all Fitbit tracker models from Fitbit Charge 3 and Fitbit Ace to Fitbit Ionic and Fitbit Versa. Force a manual sync. Sometime the Fitbit app needs a little prodding to initiate a sync even after it's been opened. To force a sync, tap on the member card icon, then tap on the name of your Fitbit tracker, and then tap on Sync Now. Check your Bluetooth settings. Fitbit trackers sync data to smartphones, tablets, and computers using Bluetooth so, if Bluetooth is disabled on your device, they won't be able to connect at all. Bluetooth can be turned on and off from quick menus on most smart devices. On iOS, swipe up to open this menu and on Android and Windows Phone, swipe down to open it. Install the Fitbit app on your device. If you've purchased a brand new Fitbit tracker, you've likely installed the official Fitbit app on your smartphone, tablet, or computer to set it up but if you've received a Fitbit second-hand that's already set up, you may not have. Unlike many other devices, a Fitbit requires the installation of a special app to connect to another device and sync your data. The Fitbit app is free and can be downloaded for iOS, Android, and Windows 10. Update your Fitbit app. If your app is out of date, your device may have trouble connecting to your tracker. Apps can be updated from within the app store on your iOS, Android, and Windows device. Only sync your Fitbit to one device. It may seem like a good idea to pair your Fitbit tracker with your iPhone while out of the house and your Windows 10 computer for when you're at home but this can cause a conflict with the tracker when it tries to connect to both at the same time. The best way to fix this is to turn off Bluetooth on one device when trying to sync to the other. You can also turn the second device off completely. Disable Wi-Fi. Sometimes having a smartphone or tablet's Wi-Fi and Bluetooth turned on at the same time can prevent each of these technologies from working properly. If you're trying to sync a Fitbit tracker, this can hinder the Bluetooth connectivity and prevent it from syncing. Check the Fitbit battery. While Fitbit trackers have a long battery life, they do need recharging every day or so. If a tracker isn't connecting to your device's app to sync, it may have run out of power and turned itself off. This is incredibly likely if you own a Fitbit One or Fitbit Zip which are placed in your pocket or bag and are easy to forget about when it comes to device charging time at the end of the day. Restart your Fitbit tracker. Restarting a Fitbit is essentially the same as restarting a computer. It refreshes the device's operating system and typically fixes any issues that the user has been experiencing such as syncing problems. Instructions for restarting a Fitbit does vary from model-to-model but it generally involves plugging the tracker into the USB charging cable, connecting it to a power source, and holding down the main button for around 10 seconds. If done correctly, the Fitbit logo will typically flash on the screen and the device will restart. Restarting a Fitbit will not delete any data besides notifications. A restart is usually required after encountering one of the problems mentioned above such as Wi-Fi and Bluetooth conflicts or being connected to multiple devices. Reset your Fitbit tracker. Resetting a Fitbit tracker should be considered a last resort as it will delete all data and return it to its factory settings. Any data synced to your online Fitbit account, however, will be able to be restored after the reset has occurred. The instructions for resetting a Fitbit are different for each tracker with some requiring a paperclip to be inserted into a hole while others can be done in the device's settings. Some trackers such as the Fitbit Surge and Fitbit Blaze have no factory reset option. It's important not to confuse restarting and resetting when talking to any form of online or offline customer support. Restarting a Fitbit turns it off and on again while resetting completely deletes everything on it.